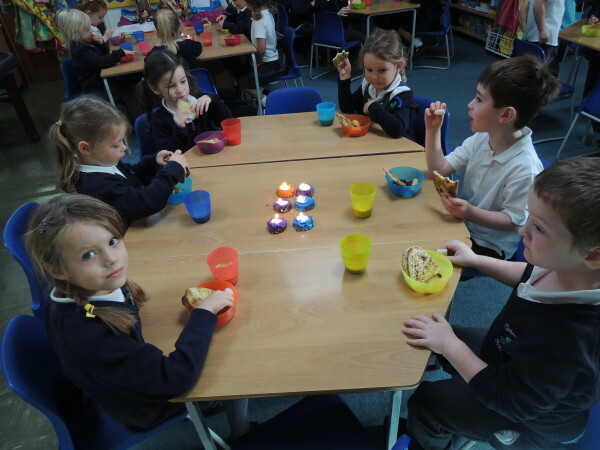 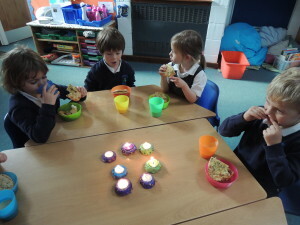 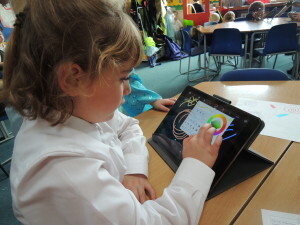 Reception Class really enjoyed learning about the Hindu festival of Diwali. 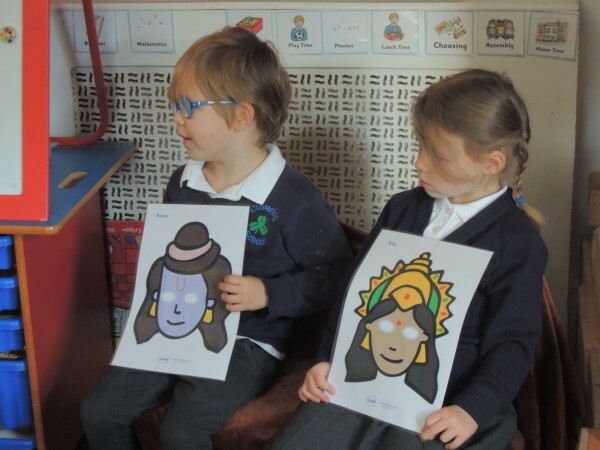 We read and acted out the story of Rama and Sita and did movement work to music in P.E. 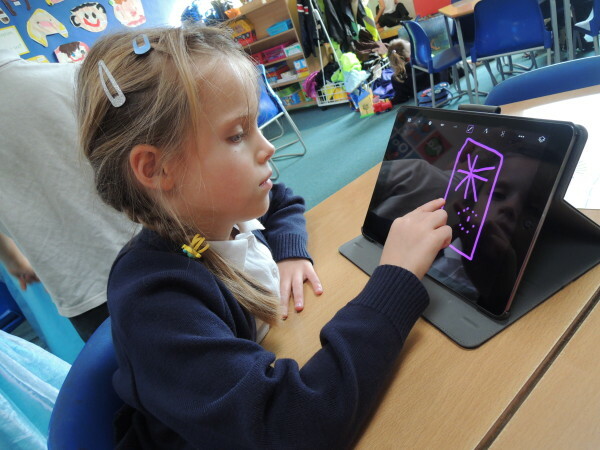 We created firework pictures on the IPads, made diwa lamps and watched clips showing how a Hindu family prepare for and celebrate Diwali. We also looked at mendhi and rangoli patterns. Finally, we were very adventurous at snack time trying naan bread, poppadoms, coconut slice and mango lassi. We enjoyed watching our lit diwa lamps too.